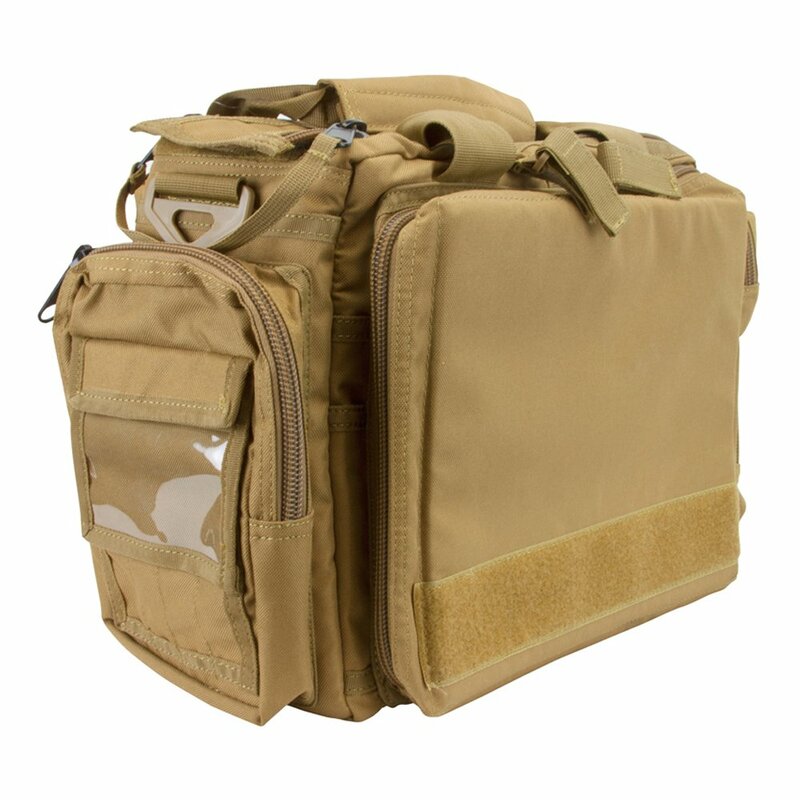 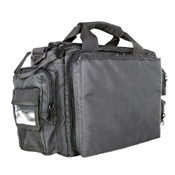 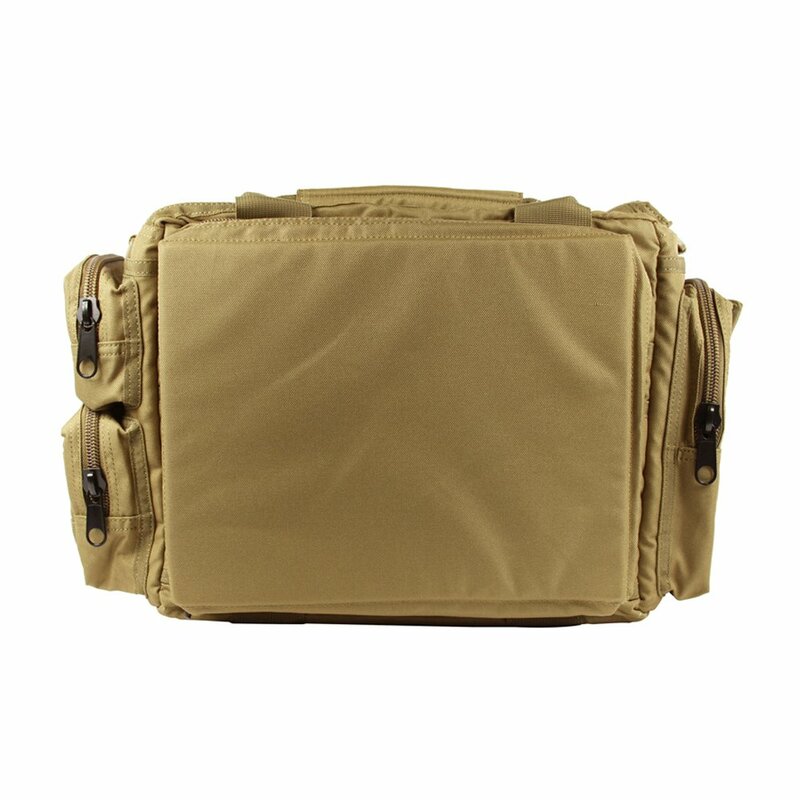 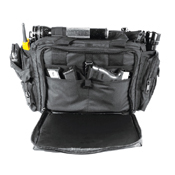 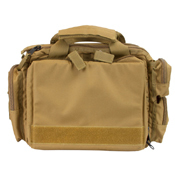 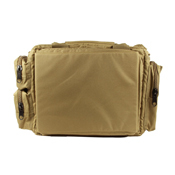 Perfect for storing firearms, ammo, and accessories, featuring two large exterior zipped panels with multi-sized pockets, three additional multi-sized exterior accessory pouches, two water bottle or radio pouches, a flashlight loop, adjustable main compartment divide with pockets, I.D. 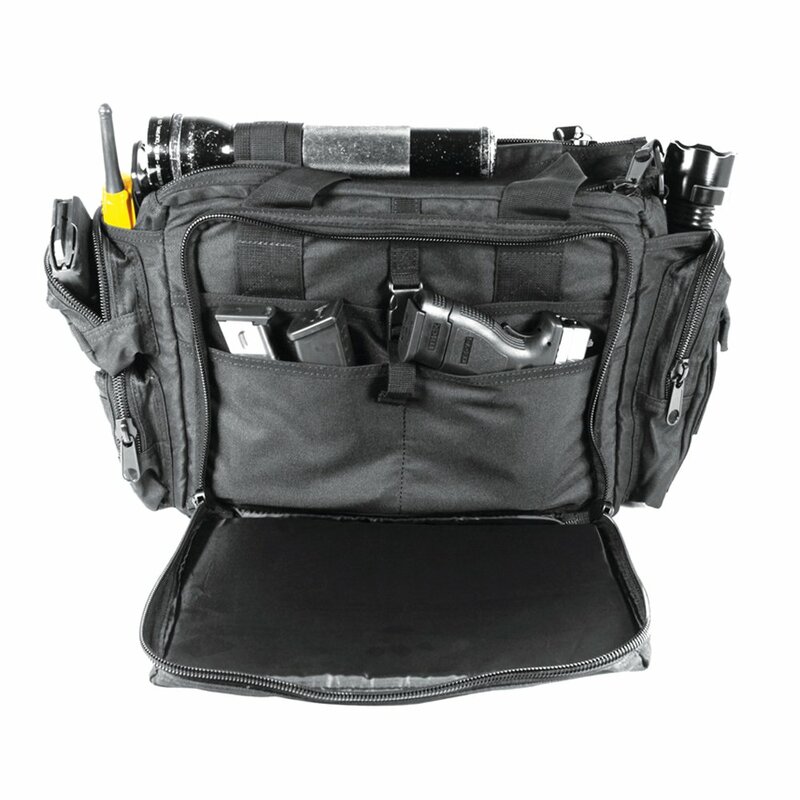 window, adjustable shoulder strap, and reinforced carry handles, don’t leave home without this piece of gear. 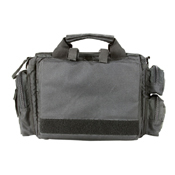 Constructed of durable black 900D polyester material.